We had a very nice day at Saddleback on Sunday. The mountain received 4"-5" on the overnight which freshened things up considerably. We had some really nice turns down Tight Line, Royal Coachman, Governor and the upper Portion of the Nightmare Glade. It was warm but not too warm and the winds were fairly light. The only real issue was visibility. The top 2/3rds of the mountain was encased in a thick fog all day which made seeing where you were going pretty tough. While Saddleback had a lot of their glades open, they are still just a bit thin on the coverage as the bottom of my skis will attest. But it is so-close! Another snowstorm or two should do the trick. There was a nice $29 Maine day / Super Bowl Sunday crowd on the hill. Things were good until the T-Bar went down early afternoon. Whenever that happens the lines at the Rangeley become long. All the new snow had been skied at that point so we decided to call it a day and head back home. 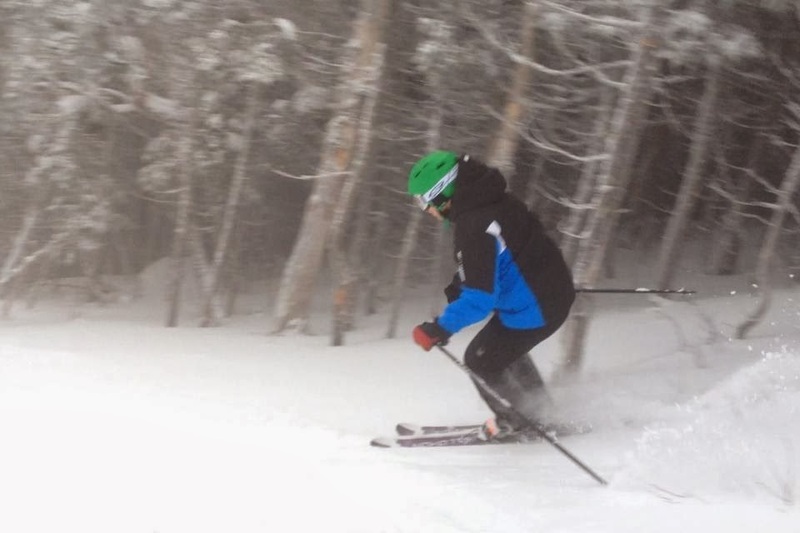 We skied hard from the opening gun so our legs were feeling it. Overall we were very pleased with our ski day. Couple of chances for now in the next few days. I am tired of these storms missing the mountains of Maine. Lets go winter! Here is the official video edit of our day.